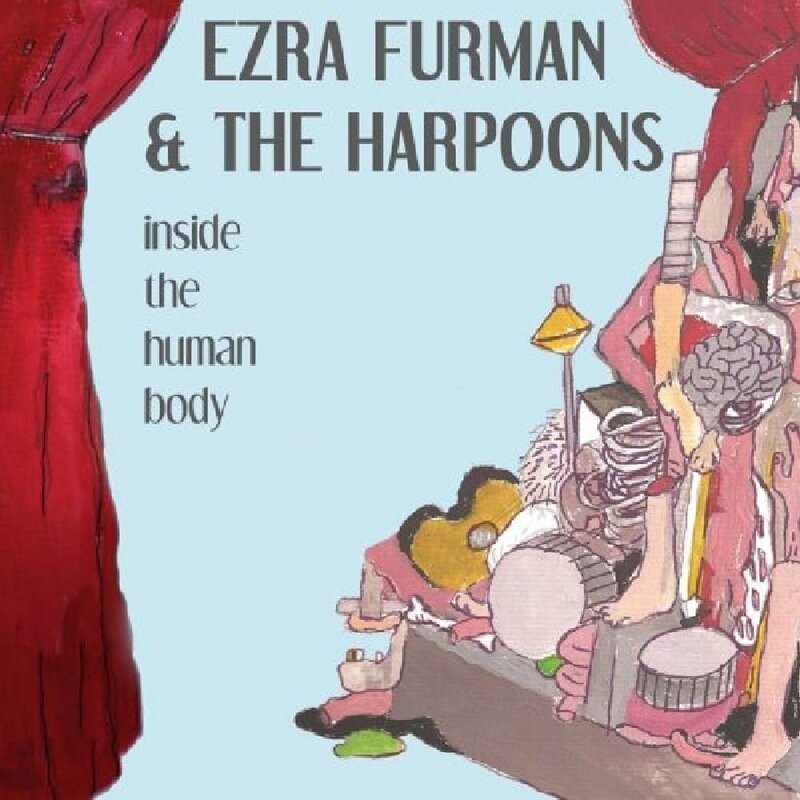 An open thank-you note for Ezra Furman's "42 Tenets of Songwriting"
Ezra Furman was one of the first songwriters I fell in love with. I made a playlist of my favorite songs, follow us on spotify for that. I wrote out a thank-you note, but the 42 tenets come first. A song must be written and performed in order to be a song. Songs are analogous to human bodies. The part you write is the skeleton. The part you perform is the flesh. But songs happen primarily in time, not space. This analogy will not hold up under scrutiny, but it can be useful. Songs have the power to change time. I make songs, but I have very little control over them. My favorite kind of song is the kind that talks to people. The song's performer may talk to people, but the song itself talks separately. Sometimes a song will go to a person and grab them and shake them. Often the performer of a song will intend the opposite of the song's own intention. The song can be overruled, or it can overrule the performer. Songs are almost people. Of all the things that are not people, they are one of the closest to being people. Songs change over time and sometimes change back. When a song appears it may behave very differently than it did the last time you heard it. Over the years, even recorded songs can start to sound very different. A good song can go bad, and a bad song can become good. It is a song's audience that has the power to give it value. The performer of the song cannot also be its audience. A song is made "good" or "bad" by the way people listen to it. That said, some songs are better prepared to be listened to in a "good" way than others. This preparedness is not easy to influence and can never be guaranteed. A song does not reflect its author's efforts, but his hidden self; not what he wants to appear to be, but what he is. If you are looking for information about a song, the songwriter is usually the wrong person to ask. Ask the audience. Like a parent to a child, I know how my songs were made but I don't know what they are really like. After a certain point, they are no longer mine, because we both have changed too much. A songwriter or songwriting team, together with their songs, form a family unit. A strong family unit defines itself against the outside world of facts, keeping the world out and making its own world. Listening to these groupings of songs is like visiting someone's household for a family dinner: you are offered a glimpse into a separate world with its own separate language and truths. A song can wander away from home and end up somewhere dangerous. This is not always the author's fault. A folk song is an orphan from infancy, and has to be tough to survive. I try to influence my songs to behave violently. My highest hope for one of my songs it that it might bother someone. I want my songs to be pests. Songs are an inevitable human byproduct. The materials for songs can all be found in nature, but only humans can arrange them into songs. We cannot stand to passively listen to nature's irregular rhythms and bad melodies for very long; we yearn to correct them. Listen to the crashing waves, the whistling wind: they are terrible, musically. They have no sense of timing or pitch, and they are totally emotionless. Songs are humans' corrections of the sounds of nature. A song is not quite a thing. A song is a form that can be filled in again and again. Making songs is like making plaster molds which you can use to make many unique things. But again, in time rather than in space. Also, the molds themselves can change. The worst kind of song insults its audience. The best kind calls them to action. The surest way to ruin a song is to try to make your voice heard over the voice of the song. But sometimes even that won't work. Just as performers choose songs they like, songs choose performers they like. A song is a mask that shows its performer's true face. In song we say what we are forbidden from saying elsewhere. Performing a song is almost always a passive-aggressive act. It is more correct to use the same word for "song" and "poem," as is done in Hebrew. Poems are songs as long as they can be performed. Most songs, however, can only obliquely be called poems. "Songs" is the larger category. Writing a song is finding a psychic place and then trying to draw a map to that place. Performing a song is trying to go back and follow that map and bring people with you. The best songs are the ones that work most reliably as maps to a place. Bad songs are hard-to-follow maps. Songs always suggest images. Part of listening is picturing the invisible. I make songs in order to make something happen outside of ordinary life. I am rarely successful. The performer of a song is inhabited by someone besides himself. Who this is remains unknown. Someone who hears a song is often redefined in relation to the song. In this way songs can be a catalyst for personal change. This is their most important function. A good song is a place to live for a while. A good song erases your memory of what the world is like. Songs show me how fast time moves. They also remind me of how much can happen in a short amount of time. A song is the highest form of commemoration. But it has to be the right song. Even when moments of silence are observed, a song would be better. If it is possible to talk to God, a song is a way to do so. Alright, here’s the personal storytime bit. It’s weird to exchange words with someone who’s been singing to you for a decade. We didn’t really exchange words - really I just thanked him for writing the song “Don’t Turn Your Back on Love,” and he nodded and might have said thanks. Growing up, I had a cool alarm clock radio. It projected the time with a red laser beam onto the ceiling, so you could wake up in the morning, roll onto your back, and see how upset you should be at the morning with minimal effort. I remember being excited by that mostly. It also had a radio - that was just gravy. I listened to a lot of radio back then (Z93, with the cringe-inducing nighttime segment “What’s in Fry’s Fly” hosted by some guy who was always yelling), and only rarely would change over to The X (Dayton’s alternative/hard-for-FM rock station/advertising vehicle for Rock on the Range and Warped Tour). One time, between all the 2000s rock, a song came on with an acoustic guitar and a strident, inelegant harmonica piercing through the rest of the noise. A little jumpy baseline. And then a flustered man huffing and heaving and puffing his way through a song about sunglasses. I think my working definitions of what songs should do came from Ezra. From songs whose lyrics seemed to rend the music and arrangements to their will to ecstatic screams when seemingly nothing else gets the point across. His songs were never afraid to be uncool, to be pigeonholed into a specific genre convention, to be easily called much of anything. And they seemed more alive than anything I could see with my own two eyes. I’m thankful for his art. And I’m thankful to whatever radio DJ thought it would be a good idea to play that particular song at that particular time. And I’m thankful to my alarm clock radio. After I saw him on this last tour, I tried looking it up. When I found it in high school, I took it as gospel. But I can’t find it online anymore. But, years ago, I copied it into the notes app on my iPod Touch. That, I did find. So, I don’t think this is gospel. But it is worth preaching. I’m not sure why he took it down. I hope he speaks up if he’s upset. I hope these help you as much as they helped me.